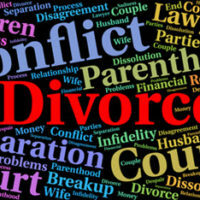 Although the state of Florida has abolished the concept of fault when individuals file for divorce, that doesn’t make the process of obtaining a divorce any simpler, nor does it completely eliminate the impact that an individual’s behavior during marriage has when it comes to important decisions that come out of divorce, such as property distribution, alimony, timesharing, and related issues. In addition, many would be surprised to find out that adultery (or, rather, “living in open adultery”) is still considered to be a crime in the state of Florida, thus, it’s fair to say that behavior during marriage–regardless of what’s listed in state statute as technical grounds for dissolution–can have its effects. Florida being a no-fault divorce state, which means parties can dissolve their marriage by indicating that the marriage is “irretrievably broken.” When either spouse files, they must simply prove that they have been married and at least one has been a Florida resident for at least six months immediately preceding the filing date. Property distribution: If there is evidence that any marital property was used in furtherance or support of the affair. Depending upon the circumstances of your case, engaging in mediation or the collaborative divorce process may be preferable so that both parties enter into a written settlement agreement that addresses their many concerns and allows them to craft very specific parenting agreements that take into account any unique circumstances or concerns. If you or someone close to you is going through or contemplating a divorce, the help of an experienced family law attorney can help resolve a lot of the stress and questions that come up throughout the process, even during the very initial stages. The statutory requirements are very strict, thus one mistake could cause you to lose your rights. Contact one of our offices at HD Law Partners in Florida to discuss your concerns and questions with one of our dedicated attorneys. 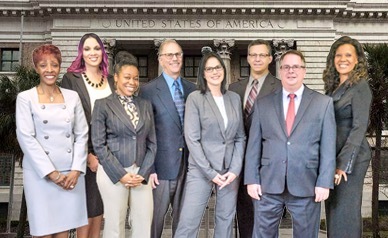 We have a combined experience of 40 years in representing clients in divorce, property distribution, alimony, timesharing, and related family law issues. Our attorneys offer experienced and understanding legal guidance during this important moment in your life.